Provide your contact information so that one of our representatives will be able to contact you in order to process your donation. In memory of those who perished in the Shoah, Yad Vashem has created a central database of the Victim's Names. The Toronto Jewish Community proudly takes its place amongst the Jewish Communities of the world as one of great achievement and prominence. This same community has, for over 86 years, entrusted Steeles Memorial Chapel with one of its most sacred and important tasks, serving you in accordance with traditional Halacha in a professional manner, 24 hours a day. We strive to offer the best in Jewish Funeral Services, Funeral Prearrangements and other related services across The Greater Toronto Area. With every funeral we arrange, we understand and fully stand behind the fact that we are making a commitment to the family who entrusts us with their loved one. Our pledge is simple, we are happy to be of service in any way possible during this difficult time for your family and are available for assistance 24 hours a day. We can arrange funeral services to take place in our chapel, a synagogue or graveside and can also help arrange the Shiva service as well. 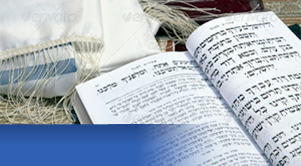 We offer and provide all requirement elements for a traditional Jewish burial and ensure that all Jewish customs are followed throughout the entire process. We understand that losing a loved one is a tremendously emotional and difficult experience, and are fully committed in aiding our client families with personal, professional and courteous service. In our opinion, preserving and honouring the legacy of one's life is an important responsibility, one which we do not take lightly. Send a donation in your loved one’s name and benefit a great cause in their honour. Steeles Memorial publishes a twice daily e-mail letter listing current services and shivas. The e-mail is automatically sent each day - excluding Shabbat or holidays. We accept your trust with a measure of humility and a great sense of responsibility. 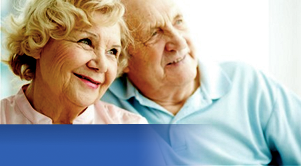 Our mission statement to you is to pledge to serve you professionally and compassionately. May G-d bless you now and always with strength and comfort. © 2019 Steeles Memorial Chapel. All Rights Reserved.